Although the Jaguar XE is a relatively new vehicle in the British automaker’s lineup, it has already seen improvements and changes that have elevated it even further for the 2018 model year. The 2018 Jaguar XE is the winner of the 2018 Automotive Journalists Association of Canada (AJAC) Best Small Premium Car in Canada award. This goes to show what a well-rounded vehicle the sedan actually is. 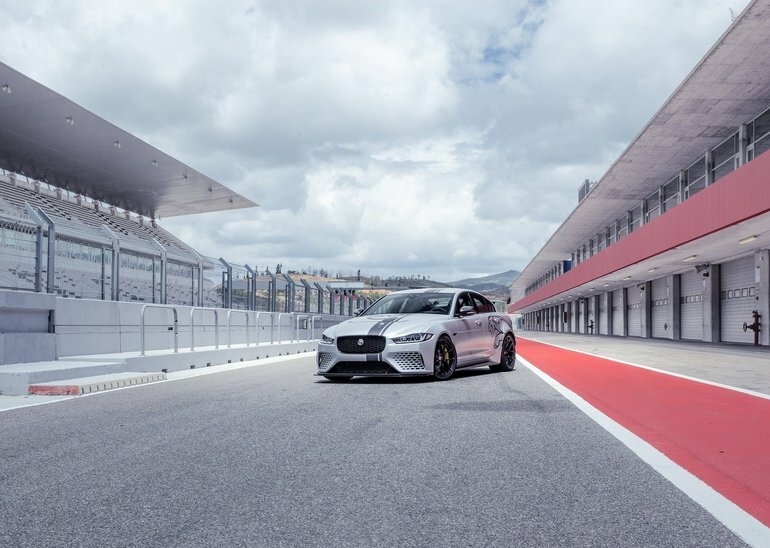 Ian Callum brought the Jaguar XE to life with his design, and from there the engineers took it to another level with exceptional performance and practicality. There’s no denying that the 2018 Jaguar XE looks the part of a premium luxury vehicle with smooth, flowing lines that stretch the length of its body. It sports the long, slanted headlights that give it a distinctly feline look. The mesh front grille adorned with a larger-than-life screaming Jaguar logo in the middle give the XE some serious character on the road as well. The 2018 Jaguar XE harmonizes sophistication and sportiness perfectly. The 2018 Jaguar XE features leather seating and a centre stack that’s functional and designed with aesthetics in mind. While the regular InControl system comes standard, there’s now an upgraded version of it called InControl Touch Pro, which is available on certain upper-level trims. Navigating the system for music and maps is a breeze, as is hooking up your smartphone. You won’t be disappointed with the 2018 Jaguar XE’s performance either. While there’s only one engine available across the board, a 2.0L, it all depends on how Jaguar engineers have tweaked it (or which fuel you use) to determine the power and performance you’ll get out of that set-up. The base 2.0L turbocharged gas-powered engine produces 247 ponies. If you go for the tweaked version, power jumps to 296. There’s also a 2.0L turbocharged diesel version that’s good for 180 ponies. The 2018 Jaguar E-PACE comes standard with AWD, with a near 50/50 split front to back. To find out more about the 2018 Jaguar XE, head down to your local Jaguar Vancouver to speak with one of our experts about everything this AJAC award-winning sedan has to offer. And don’t forget to book a test drive too.